Opportunities are available for one and two year terms, January 1, 2017 to December 31, 2018, for Licensed Practical Nurses to participate on the Fredrickson-McGregor Education Foundation for LPNs’ Committee. The Foundation is a non-profit charitable organization which raises, manages and distributes educational grants to members of the College of Licensed Practical Nurses of Alberta to enhance their nursing knowledge, skills and abilities. This committee meets 3-4 times per year for several hours by teleconference and/or in person at the CLPNA office located in Edmonton, AB. One and two year appointments available. Submission of a resume is required. Questions? Contact Donna Doerr at foundation@clpna.com, 780-484-8886 or 1-800-661-5877 (toll free in Alberta). 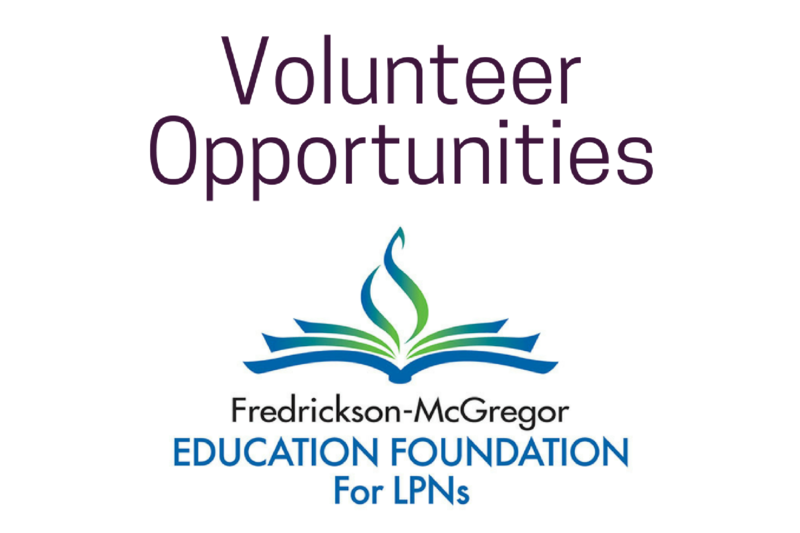 The Fredrickson-McGregor Education Foundation for LPNs is a non-profit which distributes educational grants, awards and bursaries to members of the College of Licensed Practical Nurses of Alberta (CLPNA) to enhance their nursing knowledge, skills and ability, and honor their achievements.